Stephen Yorsz, the bartender and co-owner of NYC’s Leave Rochelle Out of It, will not deny you a pricey cult whiskey—but he will question whether that's what you really want. Stephen Yorsz, the bartender and co-owner of NYC’s Leave Rochelle Out of It, will not deny you a pricey cult whiskey—but he will question whether that's what you really want. "People are trying to walk before they can run, ordering 23-year-old whiskey without even knowing what it is," he says. “If you’re going to spend $30 on a glass of booze, I want you to really like it.” In an era when bartenders obsess over small-production spirits and Pappy Van Winkle is almost a household name, Yorsz holds a contrarian view: Some of the cheapest, biggest-production whiskeys are actually some of the best. 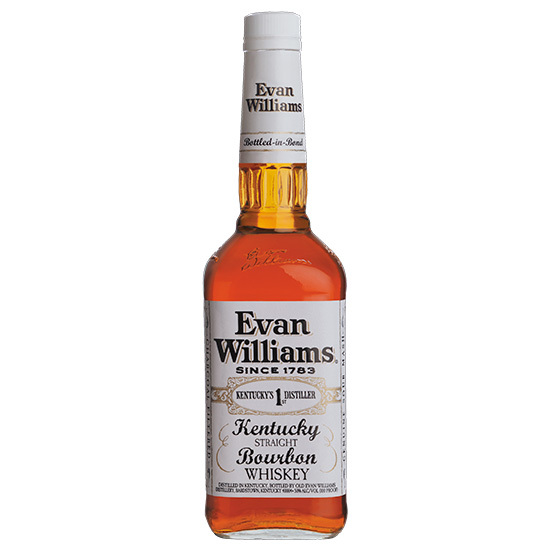 Evan Williams Bottled in Bond: Also known as Evan Williams White Label, this bourbon falls somewhere in between the others. It's smooth at first, like the Old Heaven Hill, but finishes dry with a peppery kick like the Henry McKenna.